The standard belt clip is not always to everyone’s liking, as they are a dead giveaway that someone’s carrying – which is where Alien Gear’s C-clips come in handy. Instead of tucking over the belt, these clips hang over the waistband and tuck the belt into the clip itself. The belt anchors the clip, holster and pistol to the side of the wearer. 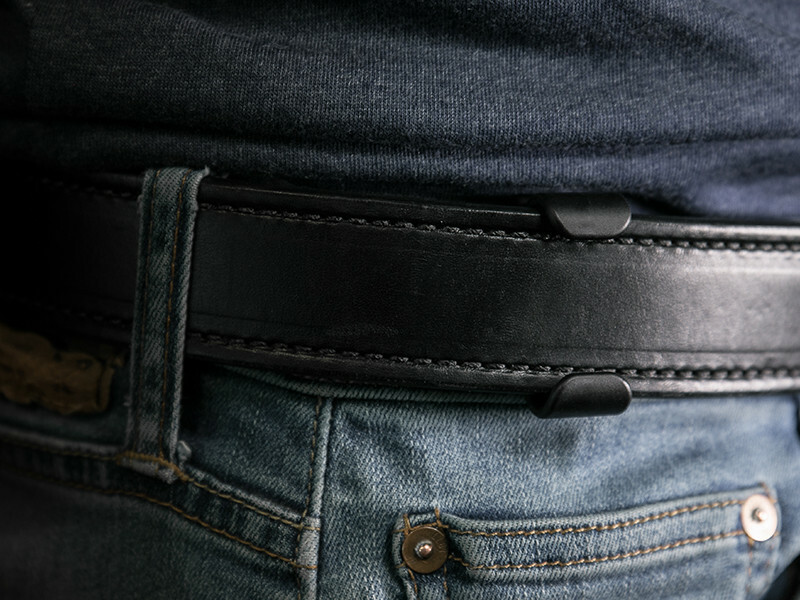 Instead of the tell-tale clip hanging over the belt, there only appear to be two little tabs where the clip would normally be – and with black pants and a black belt, they’re nearly undetectable. 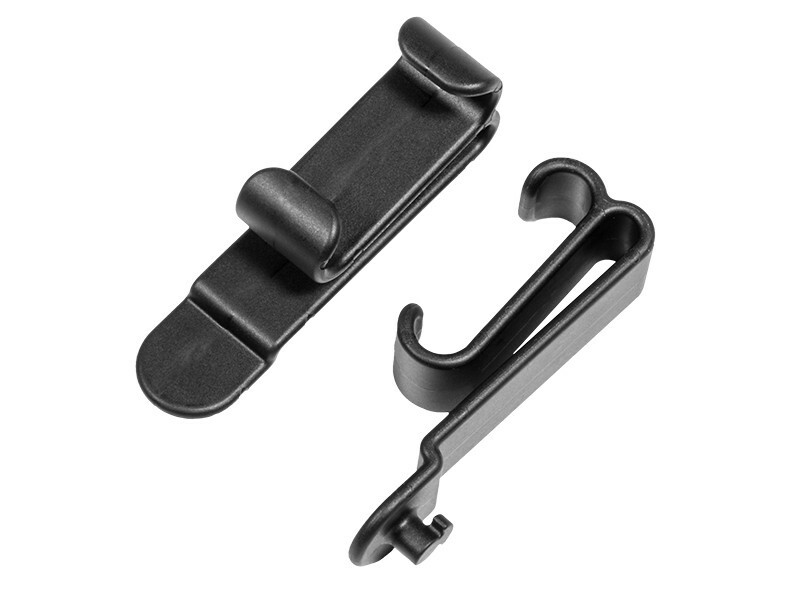 You won’t have to worry about these clips stretching – they’re made for the same durable polymer as our standard belt clips. They don’t stretch, warp or break under normal conditions… and in fact, they generally don’t under abnormal conditions. Install as normal in your preferred configuration for ride height and cant, and rotate to engage the locking cam. Then install inside the waistband and carry on. You’ll never conceal this easily with any other belt clips.